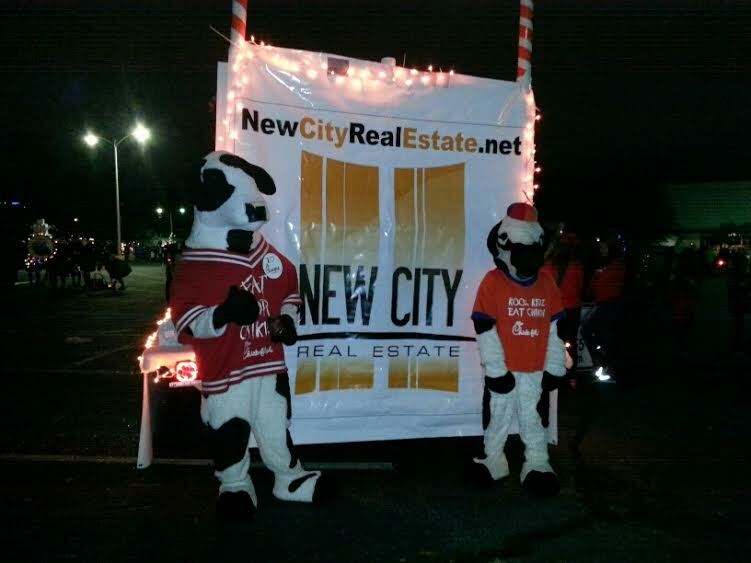 New City Real Estate Christmas Float ... We get you Moo-vin' with our guest the Chick-Fil-a Cows ! 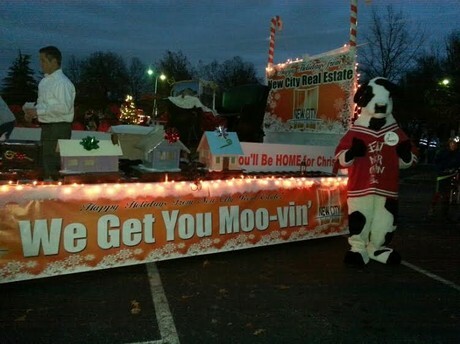 We had a lot of supporters of this float and all the kids downtown really enjoyed it! Merry Christmas to everyone and a Happy Holidays. New City Court View Townhomes stem walls are installed and new construction is starting on these all brick townhomes with garages that will overlook the new city park and are 0.20 miles from the Peace Center on Main Street Downtown. 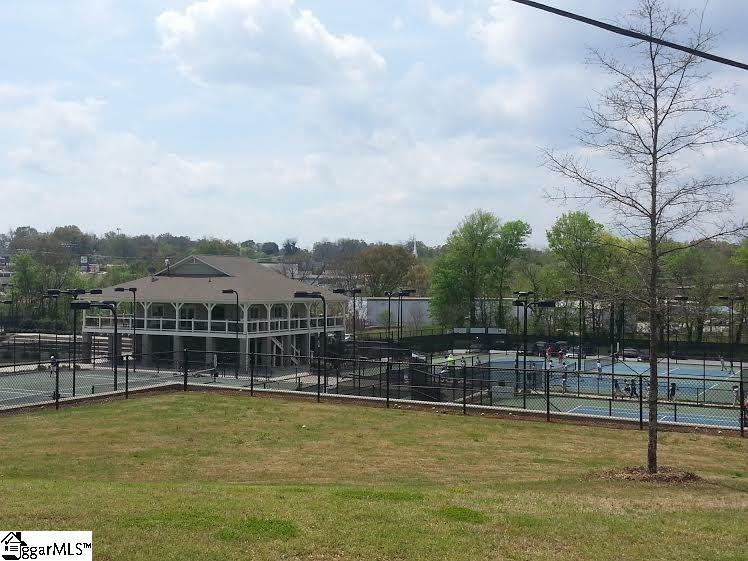 These townhomes overlook the Kroc Center tennis complex and Swamp Rabbit Trail so there is plenty of activities to enjoy in this location. Downtown Greenville several New Construction Homes in Hampton Pinckney close to Main Street and the new city park going in on Hudson Street. 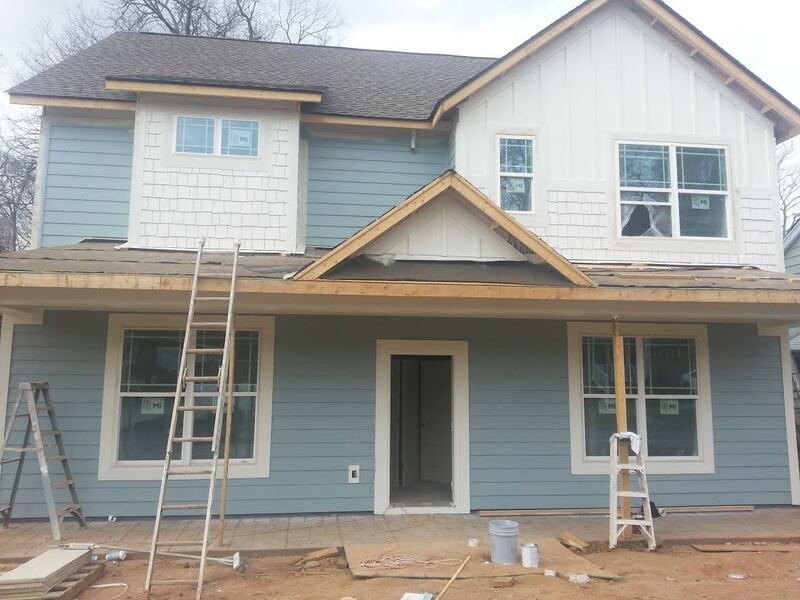 All homes have hardi plank exterior, hardwood floors on main level, modern tile in bathrooms with a master tile walk in shower, granite counter tops, stainless steel appliances, and two car garages, and stamped concrete on porches and patios. We also have several new construction opportunities in the Historic Overbrook area which is near Downtown Greenville and Cleveland Park and the new future expansion of the Swamp Rabbit Trail that will extend up Laurens Rd. 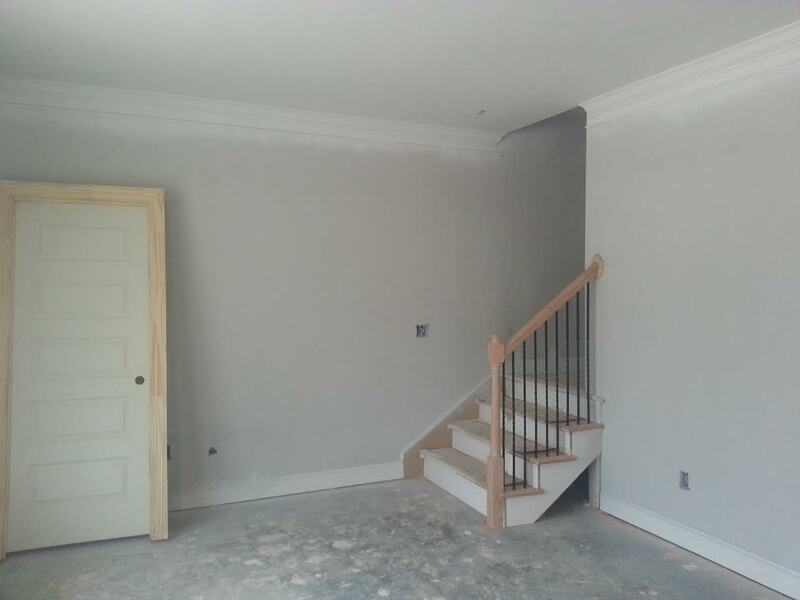 We also have several new construction homes sites in the Parkins Mill area ranging from 1,500 square feet in size. 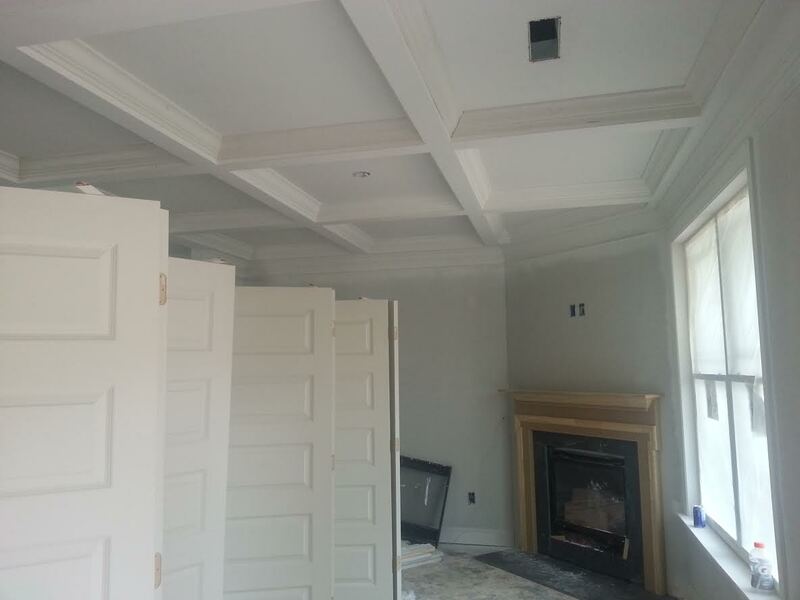 Also, custom estate size home sites just under an acre in size in the East Parkins Mill Road area with 3,000 square foot plus custom homes. China Stock Market investors may look to U.S. Real Estate Investments. As many Chinese investors have lost money in the China stock market recently and many may now look to U.S Real Estate market as investments as a place to park Investment funds. Greenville, S.C. with its proven track record for steady growth and economic outlook should be a place for China Stock Market investors to consider strongly when looking at the U.S. properties as a real estate investments. Rite Aid will use the new 900,000 square foot space to help supply 1,000 Rite Aid stores. 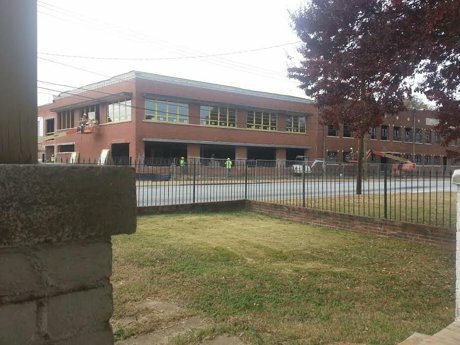 Johnson Development has secured 41 Million dollar construction loan with SunTrust Bank. The new Ride Aid Distribution Center is expected to employ 600 new jobs. 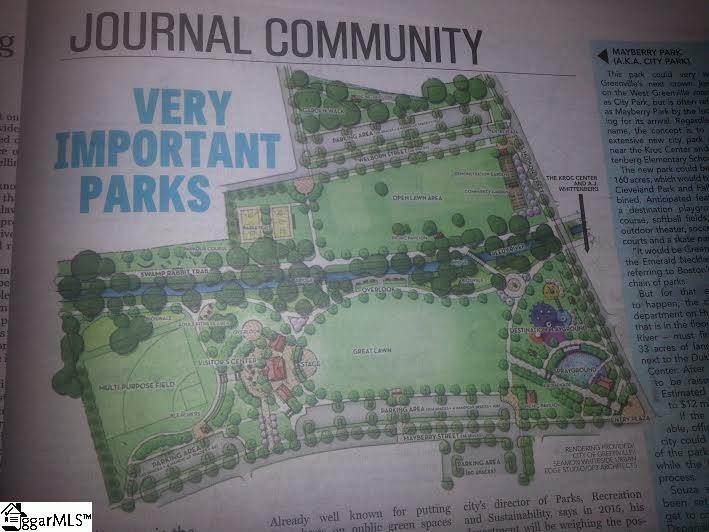 Many parcels are being cleared and new construction projects are planned for the Augusta Road area coming into Downtown Greenville. Augusta Street has the Scott Towers site that is clear now and there is a plan for possible mix use development. The old YWCA was purchased and the site has been cleared over the last week and there are plans for higher price point single family homes in that planned development. Claussen Bakery is being renovated for office space and the four acre site were the historic manor sat will be redeveloped soon. 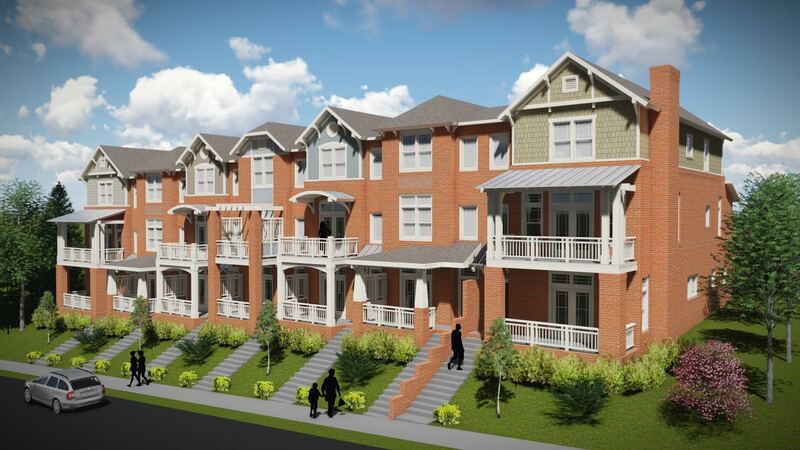 Also, Lewis Village on Augusta Road will be redeveloped and a new concept Harris Teeter is coming back to Greenville in a key location and the Wells Fargo Bank will have a new building on the site. This site is across from BMW just on Hwy 101 and construction is expected to finish in 2016 and the site has not expected to be annex into the city of Greer. Bass Prop will employ several hundred people. The other out parcels will be developed with retail, hotels, and restaurants. The Beach Company has broken ground on their second downtown mixed use project the first was South Ridge project on South Church Street near The Brio condos, Falls Park, and Augusta Road which will have around 325 apartment units with retail space and office space for lease. The second project that has broken ground is at the corner of Stone Ave and North Main Street and will be similar to the South Church Street project. Across from the Downtown Greenville New City real Estate office this historic building on Augusta Street is being turned into office space and is looking great. Its location is just a few hundred yards away from the Greenville Drive Stadium and Main Street Shops so I am sure it will lease up quickly. 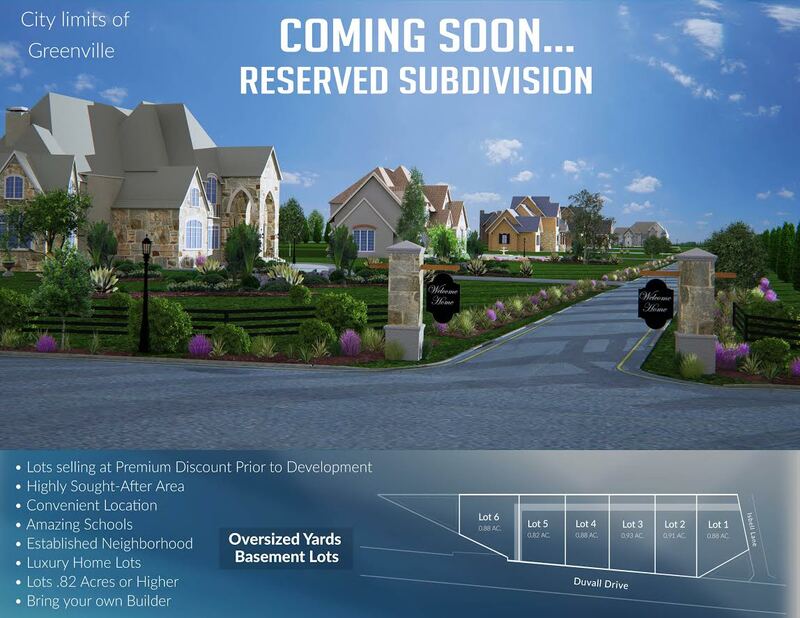 Grenville SC Planning and Development is see more permits being applied for and pulled now. 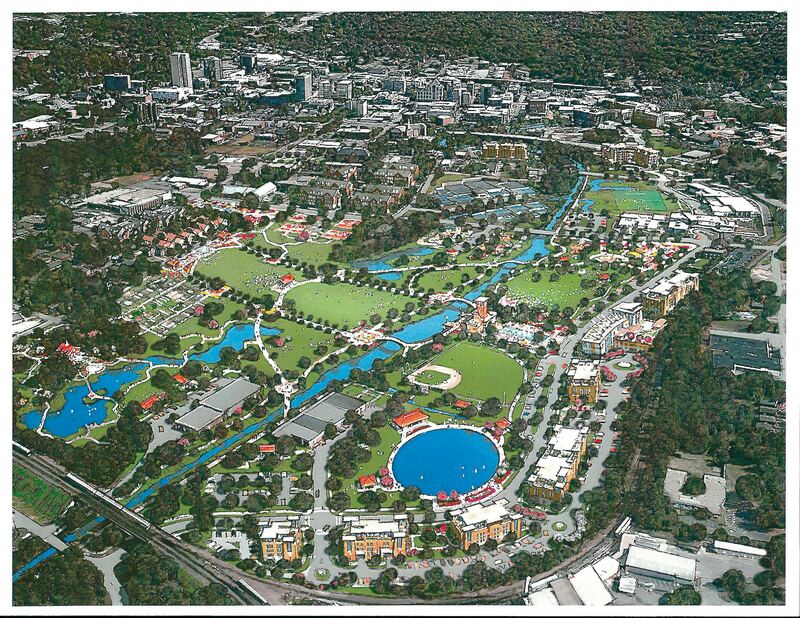 Also many new projects are in the works than before the bust of 2007 this is amazing news for Greenville SC as the city is growing and more people and companies are finding out about this progressive city. 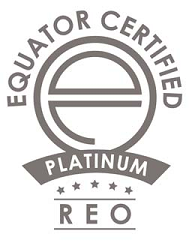 To surround yourself with the peace, purity, and luxury of a private preserve located in one of the most bountiful natural areas of South Carolina. This extraordinary legacy estate is built on the shores of Lake Jocassee, with its legendary beauty, towering waterfalls and deep, spring-fed, pristine waters. Nicknamed the "Lake Tahoe of the East", this is an Edenic place of Cherokee legend, beloved of botanists for its rare plant species, and much coveted by those who treasure natural beauty. Jocassee Sanctuary estate includes four acres consisting of five subdivided lots with two completed and furnished homes: The Estate Home (Whitewater Lodge) and the Guest Cottage (Jocassee Haven). The Estate Home is a 4,200 square foot legacy estate home designed by nationally renowned Harrison Design Associates, while the Guest Cottage is a 1,600 square foot, 2 bedroom, 2 bathroom custom designed abode. These architectural masterpieces, combined with the most pristine lake frontage, mean that Jocassee Sanctuary is regarded as one of the premier lake estate properties in the South East for mountain lake living. EXCELLENT INCOME PRODUCING rental histories for both The Estate Home and The Guest Cottage are available upon request. NOTE: Price of $3,495,000 includes The Estate Home on 0.88 acres with dock and 76' of shoreline and two other building lots above the main home and these two lots have big water views. Additional waterfront parcels and Guest Cottage are available to purchase and seller may entertain Fractional Ownership if there is enough interest.